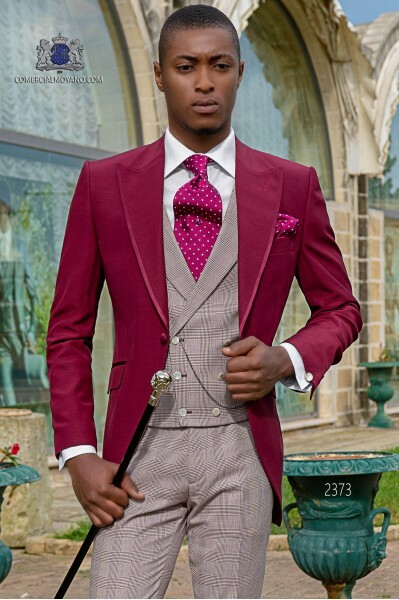 Colour frock coat There are 6 products. 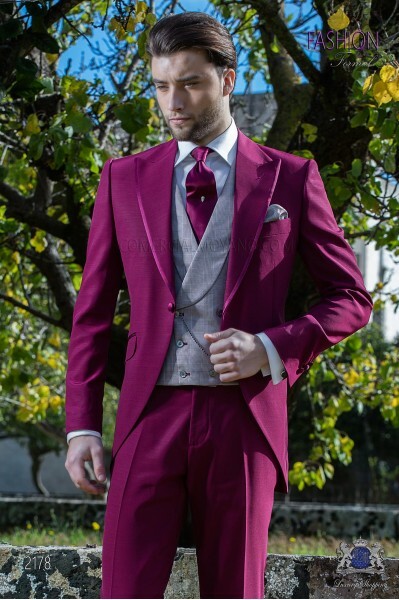 Italian bespoke burgundy frock coat wool mix suit with peak lapels, satin contrast and 1 button. 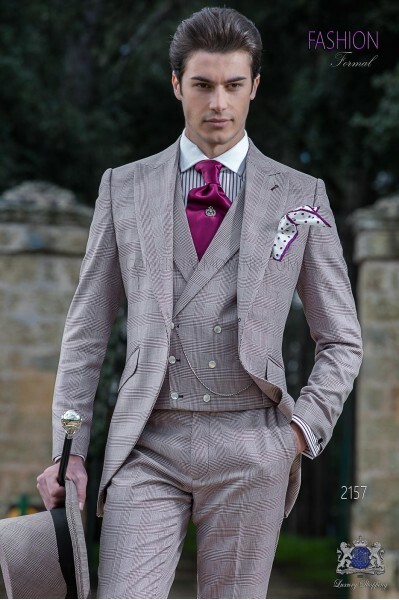 Wedding suit 2178 Fashion Formal Collection Ottavio Nuccio Gala. 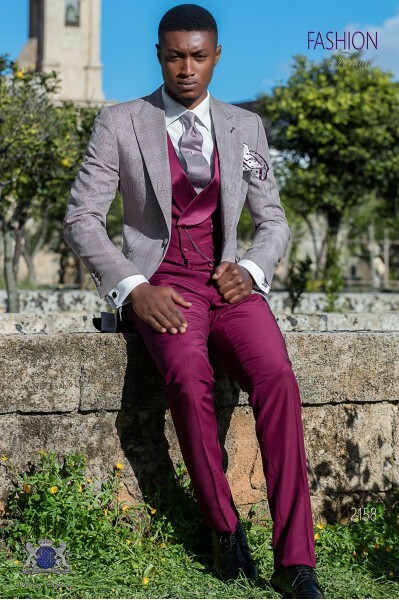 Italian bespoke light Burgundy suit with wide notch lapels, 1 button, Prince of Wales wool mix fabric. 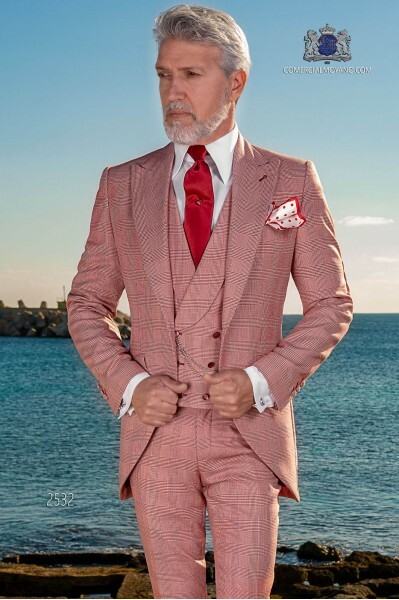 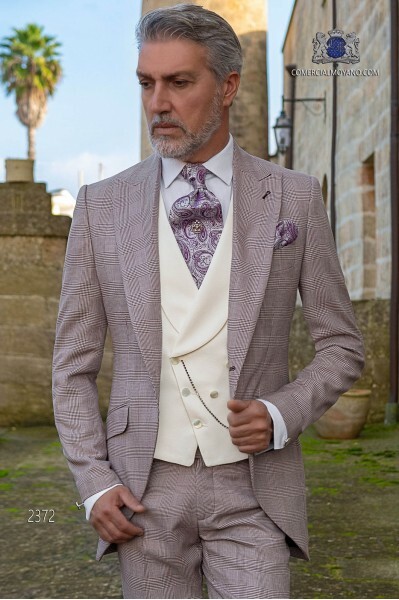 Wedding suit 2158 Gentleman Collection Ottavio Nuccio Gala.